The LONG BEACH possesses streamlined elegance and dynamic lines. It features a swirling vortex of steel tubes that rise up to create a dramatic, sculptural column. 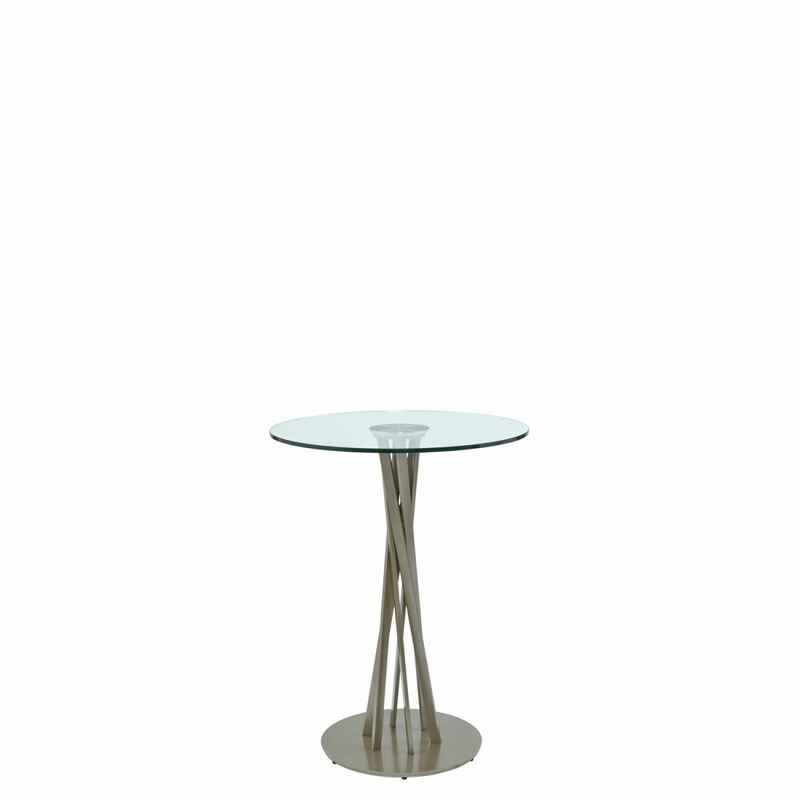 Visually intriguing, this column supports a solid stainless steel disc, which is permanently bonded to the tempered ½” thick glass tabletop. LONG BEACH will easily coordinate with and complement any of our popular barstools.